Yes, the film formerly known as Fast 8 has had a title change to The Fate of the Furious, and today we get the explosive first trailer for the film. 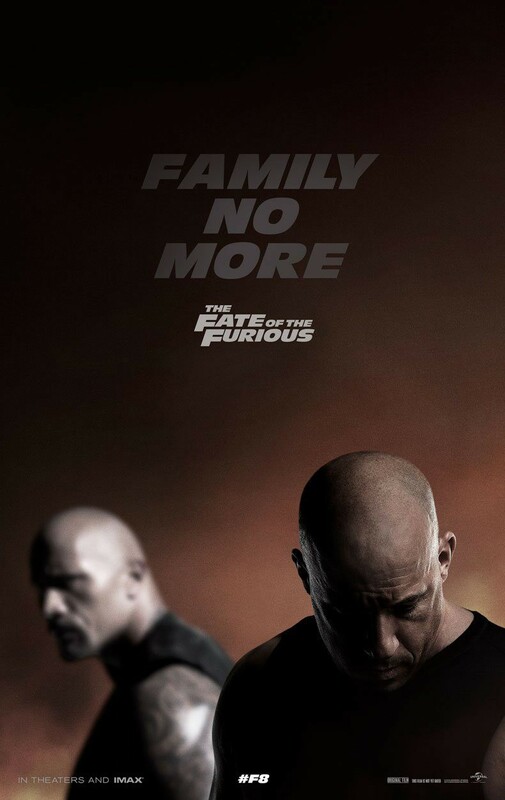 Vin Diesel is back as Dominic Toretto in the 8th instalment of the long-running Fast and Furious film franchise, however this time he plays the film’s villain, or so we’re led to believe. The trailer gives us our first look at what to expect from the film’s plot, and it’s a nice change of pace, even though you can pretty much see where it’s going. In this instalment, Dom (Diesel) appears to be forced to turn on his family of high-octaned crooks, at the hands of the film’s new big bad Cipher (Charlize Theron). Because of this, Hobbs (Dwayne Johnson) is forced to team up with the last film’s villain, Deckard Shaw (Jason Statham), and along with the rest of Dom’s crew, they must stop Dom and Cipher in the only way they know how, with plenty of vehicular destruction. As expected, the trailer showcases some of the film’s extravagant stunts and action scenes, and it looks like it won’t disappoint on that front. Add that to the new direction the film is going in plot-wise, and we should be in for another treat. F. Gary Gray, the director of the 2015 hit film Straight Outta Compton is at the helm of this film, and it features a returning cast that includes Vin Diesel, Michelle Rodriguez, Dwayne Johnson, Tyrese Gibson, Ludacris, Lucas Black, Scott Eastwood, Kurt Russell, Jason Statham, and Charlize Theron. It’s a fantastic cast and The Fate of the Furious will likely make a killing at the box office when it releases in the USA on 14 April 2017. Check out the first trailer and poster for the film below. Lover of film, obviously. Knows more about them than you... Or does he? Deserted Island Movie Collection: The films of Quentin Tarantino. ‘Star Wars: The Rise of Skywalker’ Teaser Trailer has Dropped! Janks Reviews - The only opinion you can trust.